There are some flights to Costa Rica in January on Thomas Cook that are about 45% cheaper than the next cheapest airline. 2. On the left hand side under 'Book Your Flight', select 'Flights'. The price first shows up as $411 roundtrip after taxes, but after you click 'select this departure' for each leg, the price drops even further. 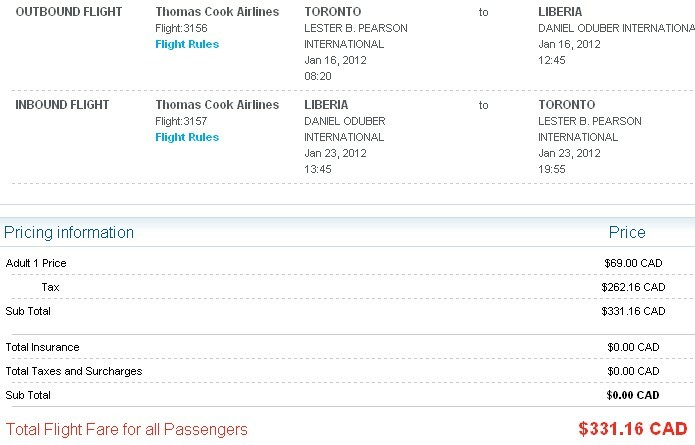 toronto, yyz, liberia, costa rica, lir, central america and sunquest vacations.